One of the most important aspects of pet grooming is being able to communicate effectively with the clients regarding their preferences for how their pet is groomed. Of course, tact and diplomacy also come into play when the groomer has to gently prod the client toward a realistic approach to managing their pets’ style. With that said, I’d like to provide some basic definitions of various terms used by the general public when discussing their dog’s haircut. “Puppy Cut”: one of the most used and abused terms in the world of grooming! It is, by definition, a term used to describe a particular trim one specific breed of dog: the poodle. If used with respect to any other breed/style, it actually is a misnomer and can be subject to many variations depending upon locale & groomer. In reality, it’s like going to your hairstylist and asking for a “Little Boy or Little Girl haircut”. What does that mean? What length do you want? In the interest of clarifying things a bit, what most groomers interpret “I want a puppy cut for little Fluffy” to mean, is that you want Fluffy to be one length all over, including the face, tail & head. The actual length is determined by how much time the client is willing to spend combing & brushing their pet to keep them free of tangles & mats. A variation on this includes the “Teddy Bear” trim. Again, this refers to a style, not a particular length, whereby the body & legs are all one length, with the face/head sculpted into a rounder shape and the ears trimmed very short to resemble, what else? A teddy bear! Many clients will tell me they want their pet “shaved”. Be forewarned, though! To shave a pet coat, that means you will see their skin showing through what little hair is left. Shaving refers to leaving no more than an 1/8” inch of coat using an industry standardized #7F clipper blade. There are shorter lengths than that, but typically a #7 blade is considered to provide a “shave-down”. Most dogs that get “summer clips” are done in this length. Severely matted pets might require the use of a #10 blade (leaves 1/16” of an inch of coat) to get underneath the mats. This is pretty much as short as you can get! The clipper blade manufacturers label each blade with the exact length that will be left on your dog when used properly. This is what an experienced & knowledgable groomer will use to determine how best to meet the client expectations. If a client asks for “just a trim”, they can expect that I will simply trim areas with feathering to tidy up the profile of the pet. Length overall is relatively unaffected. Whenever you are unsure about how to adequately describe a particular look or style for your pet, bring pictures, if possible! I am always happy to accommodate client requests & preferences if it seems reasonable and realistically suited to their pet’s coat texture as well as the client’s lifestyle! If what you want seems like it would be difficult to maintain between grooming appointments, we will have a conversation about it to make sure you understand how best to care for your pet in higher maintenance styles. If what you like is not able to be accomplished given the particular texture of your pet’s coat, we can explore suitable alternatives. A few words about shaving Labradors or other smooth coated breeds, as well as double coated breeds like Golden Retrievers, Huskies, Malamutes, Collies, Shepherds, etc. : These breeds shed and if you shave off their coat, they are still going to shed. It will just be short, prickly hair instead of the fluffy tumbleweeds collecting under the furniture! The coat serves the purpose of protecting them from the elements & UV rays also, so bear that in mind, please. Sometimes the coat never grows back the same, or at all! 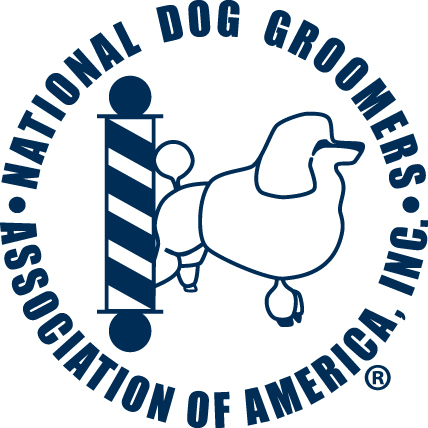 All of this information is being provided in the hopes of helping foster better communication between client and groomer. An informed client is empowered to make better decisions regarding their pet! As the snow & ice approaches, pet parents should be aware of how the ice/snow melting products affect our furry friends. Please be sure to use pet-friendly, non-toxic products! There are plenty of brands available at home improvement stores, drug stores and groceries. Make every effort to avoid walking where rock salt and chemical de-icers have been used. If your dog does walk across this material, make sure to wash his/her paws afterward. Not only will the chemicals irritate open sores or cracks in the pads, it is toxic if ingested–-and we all know that dogs will lick their feet. If you are unable to find pet-friendly snow/ice melting products, try using a bag of play sand or cat litter for the driveway. It also is important for paws is to be kept well-trimmed. Hair between the pads collects burrs, mud, and small rocks in summer. In winter, the hair accumulates ice and snow. Imagine walking with icicles stuck to your bare feet! It is relatively easy to keep your pet happy & comfortable during the winter months, all it takes is a little attention to detail!